Email: ContractRequests@charlesfaram.co.uk with the contract request form. We will then be able to advise you on availability and prices. 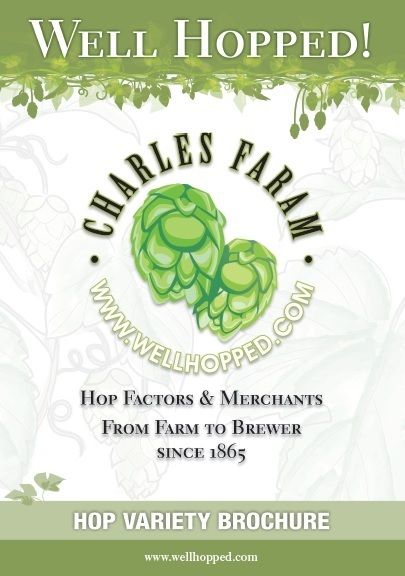 Charles Faram & Co Ltd strongly recommends forward contracting your hops for your security of supply. All hop contracts are based on a calendar brew year. As an example, 2020 brew year hops will be primarily from the 2019 crop, although we reserve the right to supply previous year’s crop against a contract. All hops will be contracted in 5kg or 20kg increments. Our total contract minimum is 40kg and these can be mixed varieties. We do not buy back your “unused” hops. You are expected to purchase and pay for ALL the hops that you contract. Any stock released from a contract will be subject to a 20% charge of the value of the amount released. Hop varieties mature and are harvested at different times so there is no way to predict when the new crop of a specific variety will arrive at our stores. Priority will be given to varieties that we are out of or low on stock. All of our hop prices are based on a sustainable pricing model to encourage growers to grow the hops for you. All of our prices are ex cold store Newland and may be shipped with other brewing ingredients. All of our hops are rotated on a first in first out basis. Prices and availability for spot hops (quantities left over after contracts are fulfilled) are subject to change on a daily basis which is why we suggest that you consider contracting your hop needs. The year of the contract goes by when the hops were harvested. For example September 2019 crop contract comes in to play January 2020. All product must be shipped by 30 November of the year following the contracted harvest year. At any time following 30 November of the year after harvest, Charles Faram & Co Ltd may declare the full outstanding amount due and payable and mitigate its damages by selling the contracted product. Free storage to 31 December of the year following harvest then £0.03 per kg per month fee will apply. The Northern Hemisphere harvest normally begins late August and ends Early October, however shipment to our stores and pelleting and packing typically runs from November to February. The year of the contract goes by when the hops were harvested. For example March 2020 crop contract comes in to play August 2020. All product must be shipped by 30 June of the year following the contracted harvest year. At any time following 30 June of the year after harvest, Charles Faram & Co Ltd may declare the full outstanding amount due and payable and mitigate its damages by selling the contracted product. Free storage to 31 July of the year following harvest then £0.03 per kg per month fee will apply. New Zealand hops are harvested in March each year and typically arrive at our store by early July, pellets take longer and can arrive as late as mid-August.